Dan Barker, co-founder of the Freedom From Religion Foundation, which with 20,000 members claims to be the largest atheist organization in the United States, was once a self-described conservative evangelist who shared the Gospel of Jesus Christ before a five-year journey led him to become an atheist. Barker, who no longer works to save souls but instead wages legal battles against perceived conflicts between the church and state, such as the national motto "In God We Trust" on U.S. currency and efforts to ban city councils from holding a prayer before meetings, recently spoke with The Christian Post about his evangelical past. In his book, Godless: How An Evangelical Preacher Became One of America's Leading Atheists, Barker describes his journey in detail, but told CP that most of his "movement from firm born-again Bible believing evangelical conservative Christian to atheist happened within Christianity." Barker adamantly told CP that he "didn't just jump from 'oh, I have a doubt, now I'm an atheist,'" because he believes no Christian does that. But rather, he sees believers as shuffling "back-and-forth, one way or another, across a huge vast spectrum of Christian theology." "My migration, which took four or five years, started out as extreme far right side and then gradually moved across, where in the beginning, I didn't think, 'oh, these doubts are going to lead to atheism.' I thought they were strengthening my faith; and becoming less of a binary brain, absolutistic fundamentalist and more of a moderate, more subtle," Barker explained. "And a lot of Christians are critical of Pentecostals and extreme fundamentalists for being too simplistic, so I went through that whole process by saying, 'I'm going to be less simplistic.'" One of the first things Barker said he questioned was the historicity of Adam and Eve. Before he had his ministry, Barker was a traveling evangelist, and it was in that role that he attended a church where the preacher confided in him that some members of the congregation didn't believe Adam and Eve were literal historical people. "To me that was horrible; that was heresy," Barker said. "I know a lot of liberal Christians don't have a problem with that, but I was a fundamentalist, taking everything literally. And when it donned on me that there were other Christians with other points of view, it really bothered me." After grappling with the realization that Christians have varying points of view, Barker said he made the decision to accept that believers who hold a different interpretation of the Bible are still faithful and good people, and he was not going to cease fellowshipping with them. "It doesn't matter if we agree on some of these points," he shared. "What matters is how we live our Christian life." For Barker, this was his path toward tolerance. "A little more liberalizing of my thinking; I didn't have to be a know-it-all, or black-and-white absolutistic." He continued, "The Bible says you should be hot or cold because if you're lukewarm, I'll spit you out of my mouth. So I thought that Jesus thought it had to be true or false, right or wrong, yes or no, there can't be any gray areas. When, in fact, most Christians live their lives in the gray areas." Doubting whether Adam and Eve were real people, Barker said he initially thought he was maturing in his Christian faith and thought of it as a growing experience. "It was a story, a parable, a fable that the early Israelites made up to teach – what's more important than the fall of the human race, the origin of the fall of mankind. So it didn't matter if Adam and Eve were historical," he said. "Just like when Jesus told the parables, like the prodigal son, we all know that it's not a true story; and it doesn't matter if it's true. Jesus made up a story, and it's not the literal historicity of the story that matters, it's the underlying moral tale, the message of the parable is what Jesus is trying to teach us. It's a story that Jesus made up to teach us an important lesson." Through this process Barker said his sermons started to change, and he spoke less about heaven, hell and judgment, and started to preach more about living this life, such as a Sunday morning sermon on "how to let your light shine." Barker told CP that, in his opinion, most of the criticism of Christianity comes from members of the faith, from followers themselves, who think they've discovered "contradictions in historicity, problems of interpretation, scientific problems and anachronisms in the Bible. "I finally got to the end of that four or five years, to the end of that process, and I realized the character called the prodigal son is a parable, he didn't exist; Adam and Eve is a metaphor; those characters didn't exist. What other characters in the Bible are like that?" he asked. "And then I thought, well, Yahweh. God Himself is a literary character who was invented by the Israelites, and then later by the Christians to tell an important moral story about human nature. In my mind, I said, well, then God is also fiction. It doesn't matter if God is real or not." He continued, "Sometimes you hear that kind of talk from the liberal pulpit, liberal preachers who are still preaching; but I went through the whole process and realized that the whole thing is just a story. It has no basis in evidence, or argument, or even coherent definitions, because how can a personal being have free will and yet know in which his own future decisions are fixed and therefore can't be changed. All these eternal contradictions between the definitions of the God." Even though Barker said his doubts led him to go to the Bible and study the scriptures, in 1983 he felt that at this juncture in his life, he was affirming his non-belief, his move toward atheism. "So I finally said, 'I guess I don't believe in that being anymore,'" he commented. "I became an atheist in my mind, reluctantly. I love my Christian life and my Christian friends and family. I didn't know any atheists and I didn't know if I would like any atheists. I didn't even like the word atheist. But honestly, I had to say, 'well that describes me.' Like it or not, that describes the position I'm in. I am not theistic. I don't hold the belief anymore." The Christian musical "Mary Had a Little Lamb"
Barker continues to receive royalties from Mary Had a Little Lamb, a 1970s Christian musical he wrote that presents the story of Christmas and Jesus' birth from the perspective of the animals. Since he's now an atheist, Barker said the checks he receives every year that amount to a few hundred dollars are signed over to a charity. "Because of the conflict of me receiving money from a Christian publisher, I give the money to a good cause, rather than spend it on myself," he said, adding that he sometimes meets people who tell him they performed in his play at their church when they were children. "In fact, I met an atheist woman at the Reason rally in Washington, D.C. last year, and she said she was one of the characters in the play." The increasing membership numbers for the FFRF, 130 percent in the last year years, is largely due to the secularism of the country, according to Barker, who believes that next to Catholicism, atheism would be the next largest "religion" in the U.S.
"Regardless of what we're doing, the country's becoming less religious. Everybody knows that," he asserted. "All the surveys at PEW show that non-belief is growing, and the fastest growing 'religion' in the United States is non-religion." "While Christianity is shrinking and Judaism is shrinking. Something is happening, and there's a corner being turned, and I think groups like ours benefit form that," he continued. "About 20 percent of Americans now are thoroughly nonreligious, which is huge. If it were a denomination, it would be second only to Catholics in the country." 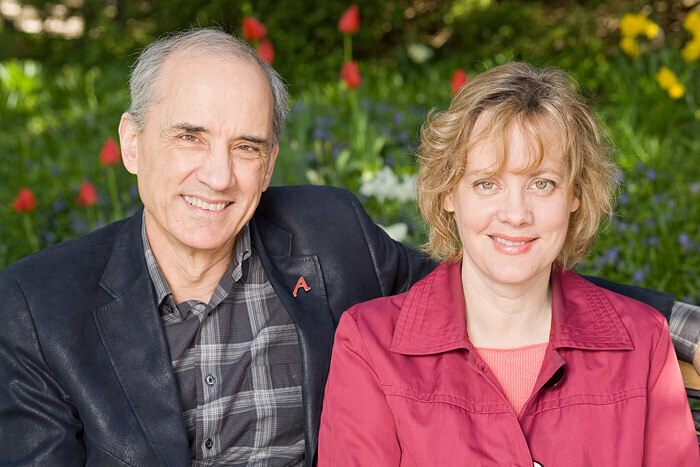 Barker and his wife, Annie Laurie Gaylor, co-founders of the FFRF, are hosting the organization's 36th annual national convention Sept. 27-28 in Madison, Wis., that will be attended by celebrity atheist Julia Sweeney of "Saturday Night Live" fame and Dan Savage, founder of the "It Gets Better" project, who will receive the FFRF's Emperor Has No Clothes Award for being outspoken about his criticism of religion.